The University of Alberta founded the Banff Centre in 1933, with help from the Carnegie Foundation. While the Centre initially started only in the area of drama, by 1935 creative writing was also taught and the stage was set for the printed word at the Banff Centre. By 1970 programming at the Centre had really expanded so it was renamed The Banff Centre for Continuing Education, with a focus on arts programming and conferences. With access to so many creative minds at work it wasn’t a huge leap to begin documenting this creativity in book form. As the world’s largest arts and creativity incubator, The Banff Centre is uniquely positioned both to publish the great wealth and diversity of content written, conceptualized, produced, or performed at The Banff Centre as well as to commission writers to create new work. With that focus in mind many of The Banff Centre Press titles have been about art in various forms from Wild Theatre: The History of One Yellow Rabbit by Martin Morrow to Euphoria & Dystopia: The Banff New Media Institute Dialogues, edited by Sara Diamond and Sarah Cook. 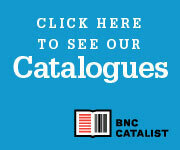 Given the many creative minds that pass through the Centre, they participate in many collaborative projects, including working with Playwrights Canada Press (another All Lit Up publisher) on a series of titles; work in depth on specific topics of interest, such as Anglophone poetry practice in Toward. Some. Air., edited by Fred Wah and Amy De’Ath; and can cross international borders, as they did in Restorying Indigenous Leadership: Wise Practices in Community Development (edited by Cora Voyageur, Brian Calliou & Laura Brearley), which includes case studies from as far as Australia. The Banff Centre has recommitted to publishing a great variety of arts and ideas, to share the stories created at the Centre and those behind their creation. They want to push the boundaries of creativity by offering bold, extraordinary options of what—and how—to read. Going into the future they want to share bold, compelling stories across multiple platforms, publishing in both print or digital formats, with complementary audio and visual components, and online interactive content.